Random roaming entertainment used to be rampant at Walt Disney World. Each park had its share of music, characters, and sometimes bizarre streetmosphere. 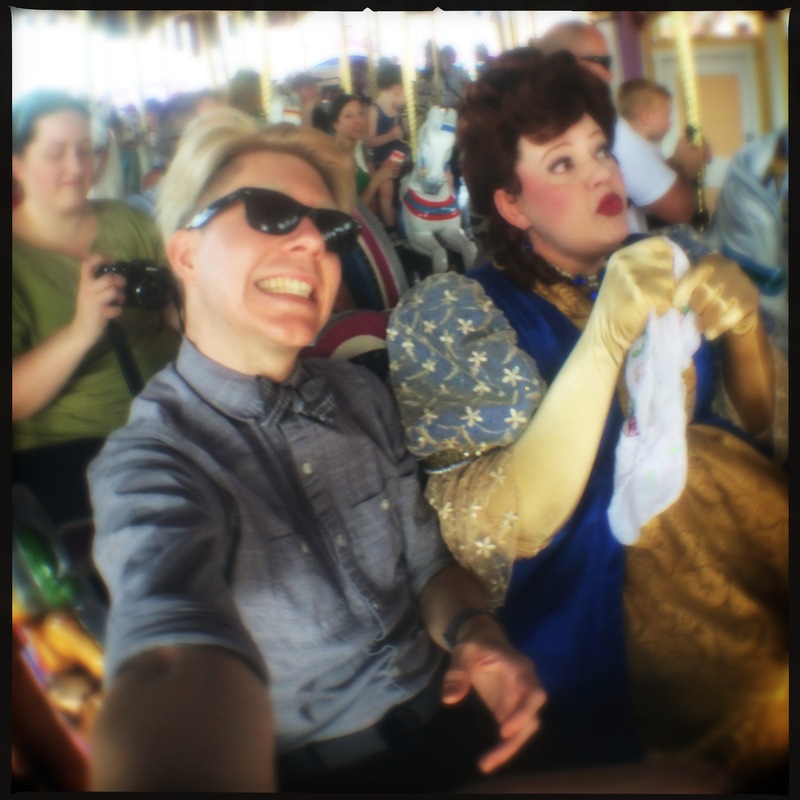 For the most part these distractions have gone by the wayside, which stinks because they were a wonderful way to spend time between attractions. There are a few strongholds in the random happenings family that manage to survive, among my favorites are the Royal Majesty Makers. 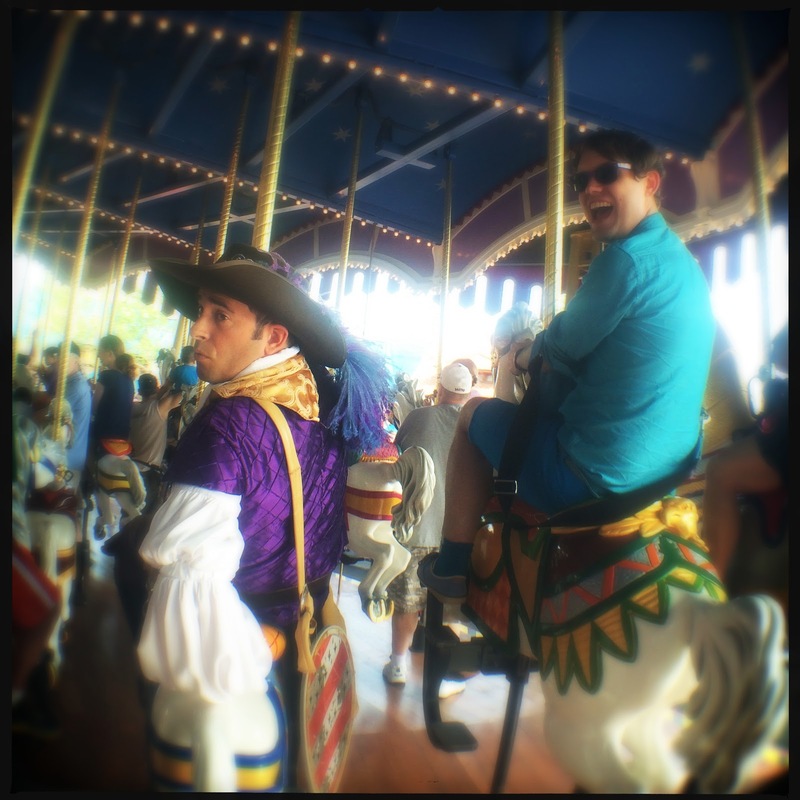 If you're ever in the Magic Kingdom's Fantasyland around rope drop time you are probably pretty familiar with these jokesters. These characters have pretty loose leash as far as interactions are concerned...and they usually cater their performance to the audience. Though they would never be inappropriate, they can get a little, um...feisty. 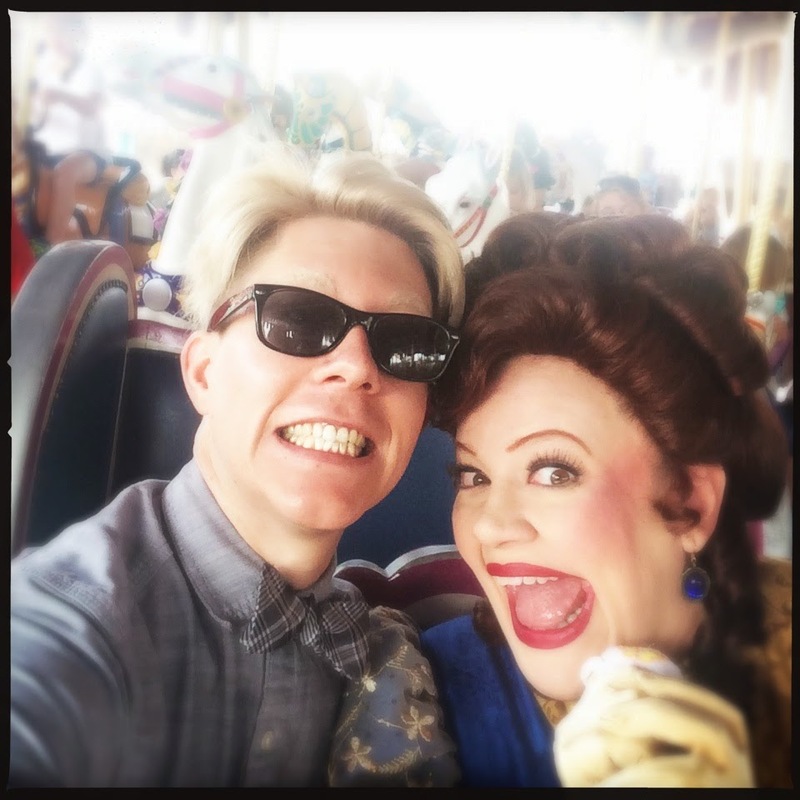 If you ever see them in line for Prince Charming Regal Carousel, do yourself the favor and jump in line immediately. Play along with whatever title they might bestow upon you. My name was Sir Andrew De Tipplebottom. Until very recently we had never interacted with the Royal Majesty Makers, which is a shame considering the wonderful memories we could have made. At this point we consider their "show" as part of our standard Magic Kingdom rope drop schedule, right up their with Peter Pan's Flight and Space Mountain. They're ADORABLE! I wish Disney World would focus on more random entertainment options, and make the parks a little more unpredictable. The Royal Majesty Makers are a terrific example of how it can work, and work well.